Just before we begin to blame the environment for every single health challenge we have, it’s imperative that we take a look inwards. We should make a critical and honest assessment of our lifestyle choices. Thefreedictionary.com defines lifestyle as a set of attitudes, habits, or possessions associated with a particular person or group. 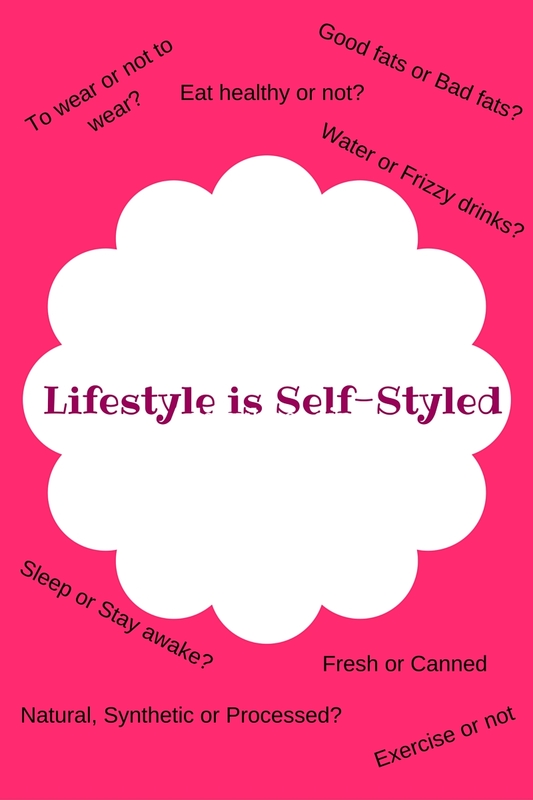 This definition depicts that lifestyle is self-styled. No one can impose a habit or an attitude on some one else. Whatever way of life you choose to adopt, it’s all on you. I am not about to imply that health conditions such as ovarian cysts, fibroid, endometriosis, amenorrhea and dysmenorrhea are self-inflicted. Far from it. Rather, I am of the opinion that we can exonerate ourselves (to a considerable extent) from the likelihood that we have contributed to our problems. Simply put, do everything within your power to live right. It’s alarming that these days we take on anything that manufacturers offer us in the name of technology. Even when we are aware that most of these things are detrimental to our overall health, we proceed with nonchalance. For instance, the famous microwave oven. According to www.medicaldaily.com, this common household appliance can significantly zap the nutritional value of your food and your health leaving you susceptible to developing health complication due to continuous microwave use: and begging the question: is convenience worth sacrificing your health? Oh yes! I used to have one in my kitchen but I disposed of it (don’t ask me how). I thought it would be difficult to get to that level where I can throw it out of my kitchen. It wasn’t, I just did it and am doing pretty well in my kitchen without it. Okay I digressed a bit there. I was saying that we have lost command over some of our lifestyle choices, leaving it to the technological forces (pardon my semantics) to do the choosing. It has gone beyond utensils and seeped into more delicate areas of our lives like the food we eat and the substances we apply on our skin. Permit me to refer us to the lifestyle of our great grandparents. If we do a comparison of both lifestyles, we will discover that there is a wide margin. From the absence of the sophisticated equipment and utensils to non – existence of canned foods to the simplicity of medical and topical substances, the difference is very clear! The questions we need to ask ourselves are : Is the change in lifestyle worth the resulting health conditions? Can we not live without conforming totally to the new and emerging culture? How convenient is our lifestyle, looking at the bigger picture? In my attempt to conclude the first part of this article, I have to give credence to the people who are going back to the basics. I am not talking about the “a-dose-of-nature” manufacturers we have around who chunk out products that contain substances we know nothing about and may have a hard time pronouncing. They put in one or two natural ingredients in small quantities or percentages and label the whole product after that natural ingredient. That, in my opinion is fraudulent. Rather, I am referring to the group of people who have truly taken up the gifts of nature. The fanatics of nature – themed lifestyles. People whose ideologies genuinely include phrases like ‘you are what you eat’, ‘eat your food as medicine so as not to eat your medicine as food’, don’t apply on your skin or hair what you can’t eat’, and so on. They are heroes considering the enormous challenges we encounter (Nigerians, in particular) in getting access to healthy and unprocessed foods. So lets talk, share with us, as we would like to know how you confront the task of making the right lifestyle choices. And if you find that after doing some soul-searching you do not like your eating habits, we would also like to hear from you. Maybe we could exchange a few tips that might help.